In my last post I shared with you what I found out on Microsoft Open Door 2010 Day 1. This post for the proceedings of Day2 of the event. 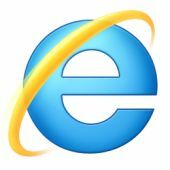 Most of you must be knowing the release of Internet Explorer 9 is just around the corner. Microsoft is promoting their new browser big time. This event had a full session dedicated to a features review of IE9 and a relative performance comparison with its contemporary browsers. The session was presented by Asli Bilgin (Web Strategy Lead for Middle East & Africa). The second session I attended was by Renat Minazhdinov (Technical Community Collaboration Manager – Middle East & Africa) under the title “Microsoft resources for Developers: how to take most of your work with Microsoft”. Renat stressed at the need for developers (and other IT Pros) to constantly keep themselves updated with the latest tools/technologies that are coming out. Employers these days do very little to properly train their employees for whatever is new in the market, therefore employees should have a direct access to the best training resources online. For more information, you can find the presentation slides here and here. This entry was posted on November 8, 2010, 4:00 pm and is filed under Technical Events. You can follow any responses to this entry through RSS 2.0. You can leave a response, or trackback from your own site.